Could A One Plane Swing Be The Fastest and Easiest Way For YOU To Add: More Distance, Greater Accuracy & Amazing Consistency? Most Tour Players Have Gone To A One Plane Golf Swing — But Is It Right For You? People have been trying to emulate Ben Hogan’s highly effective swing for decades. Why? The distance, accuracy and especially the consistency that made him so successful. The illustration on the right from his book “Five Lessons” shows the ‘secret’ to his incredible performance was staying on a consistent swing plane throughout his swing. Top golf instructors are now saying the one plane swing is the optimal swing for men and women of every age, skill level and physical condition. Some, like Jim Hardy, believe you can’t play to your full potential until you develop a one plane swing. Competition on the PGA Tour is so intense Tour players can’t afford down time while they make a swing change. More than 50 PGA Tour players (and 100,000 amateurs just like you) have turned to the Swing Jacket to make the transition to a one plane golf swing quickly and efficiently. 5 of them won Tour events within weeks of making the Swing Jacket part of their training regime. The Swing Jacket will train you to repeat a connected, one plane swing so quickly and easily you’ll wish you had done this a long time ago. The patented Swing Jacket makes grooving a connected, one plane swing a breeze because it does all the work for you. Arm cuffs on your biceps won’t allow you to get off-plane or disconnect. You’ll FEEL the positions and sequences of a perfect one plane swing rather than having to try to create that feel through trial and error. The Swing Jacket makes each swing so consistent it locks that motion into muscle memory in minutes. There is no faster, easier or more effective way to learn a one plane swing. What Do the Experts Think of the Swing Jacket? “As an instructor for over 30 years I’m always trying to accelerate the pace of learning for my students. People are looking for instant gratification and the Swing Jacket is a great resource to communicate the correct feel. It takes away a lot of hitting balls . . .
Jim Hardy, author of “The Plane Truth For Golfers” is an authority on the differences between a one plane golf swing and a two plane swing. 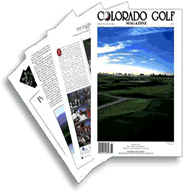 Tom Farrell interviewed Mr. Hardy for Colorado Golf Magazine. Speaking about a two plane swing Hardy said “The problem is, you can get an average player to the point of playing ‘nice golf’ but to take the game any further they need to develop power and it is very hard to put all the elements together without extremely intensive practice and talent”. 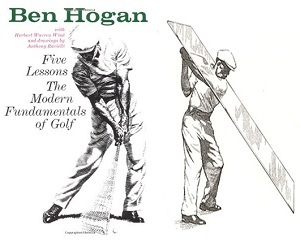 “Ben Hogan invented the one plane swing. He was the first to tip his shoulders at an angle and swing them, the arms, the hands and golf club on a single plane. What this does is eliminate the extreme timing element required of the classic (two plane) golf swing. Hardy began teaching this method to some of his students but it wasn’t until he was introduced to the Swing Jacket that he felt “he had the ultimate instruction tool. That’s a pretty interesting proposition isn’t it? The Swing Jacket is so effective it literally gives you the opportunity to test drive a connected, on plane swing. Feel what a one plane swing actually feels like. Repeat that swing shot after shot. Notice how quickly your body starts to memorize your powerful new motion. We KNOW you’d like to play better because you’re a golfer and every one of us wants to play better – a lot better! And, we know you’re a skeptic – again because you’re a golfer. Every golf company (including us) promises to improve your game. Yet the average handicap hasn’t changed in over 50 years. Experts agree that 80% of your results are directly related to the quality of your swing. Since the one plane swing has fewer moving parts it’s easier to repeat consistently and with the Swing Jacket as our coach, it’s easy to learn. We are the only golf company committed to making it easier for you to learn a highly effective swing. It seems most instructors and golf companies are making the game more complex — to try to make themselves sound smarter. Do you feel that knowing your spin rate, flex points, launch angle, etc. etc. makes it easier for you to groove a high performance swing? Does comparing your swing to a PGA Tour Pro who’s size, shape and physical condition may be very different from yours actually improve your swing? Or does it just give you more crap to think about? The Swing Jacket represents one of those quantum leaps that redefines the game from time to time. Woods used to be made of wood until modern materials proved to be more effective. And it used to take hours of dedicated practice to make even the smallest swing change. The Swing Jacket changes all of that by making it easy to train your body to repeat a high performance swing. Your Swing Jacket comes with two exceptional Video’s that will ensure you’ll get the results you’re looking for. 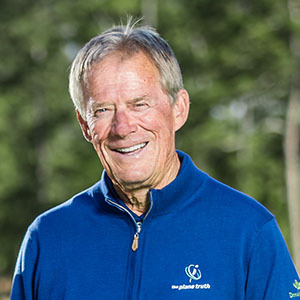 In addition to learning to repeat a powerful, connected on-plane swing you’ll learn how to use your Swing Jacket to master your short game (chipping, pitching, sand shots and those difficult half wedge shots). Over 100,000 happy customers tell us the Swing Jacket is the solution they’d been looking for. A quick, easy, automatic way to develop an efficient, accurate, repeatable swing and lock it into muscle memory. The Swing Jacket is so effective we’re the only golf equipment company to offer a 60 day, unconditional Great Swing Guarantee. And we back our guarantee with free support. If you’re not hitting the ball better than EVER with your Swing Jacket we’ll help you via Skype, telephone or on-line — whatever is most effective for you. If your handicap is not falling we expect to hear from you. You may be wondering how we can have over 100,000 customers and be able to provide such individual support. Candidly, we get very few calls and very few people ever take us up on our Great Swing Guarantee. That’s how effective the Swing Jacket is. So now it’s your turn. For less than the cost of a hybrid club, a round at a better course or a single lesson from a respected instructor you can see how quickly and easily you can groove a one plane swing. Experience the power, the accuracy and the increased consistency that can only come from a one plane swing. Click the Start Here button below and get ready to start playing the best golf your life by this time next week. The Swing Jacket costs about the same as a couple of lessons from your local teaching pro, a new hybrid or the latest pitching wedge. If you don't see dramatic, Holy Cow, results immediately you can return it for a full refund.